What is stick pack packaging? | How to package your single serve product. So what is stick pack packaging? If you have a single-serve product and need some flexible packaging options, where do you turn? How are you going to start looking for printers to manufacture your packaging? In order to help you with your search, here are some quick and easy answers on the true definition of stick pack packaging. To get technical…stick pack “proper” is an actual film structure*. (* A structure is a series of laminates to give a package specific barrier and sealing characteristics) Have you ever used or seen a Crystal Light single serve powder packet? That’s a good example of proper stick pack structure. When dealing with powders (like Crystal Light) or products with high-fat or oil concentrations, you’ll need a bulletproof package to ensure proper sealing. Printed stick pack material is printed on a roll, then fed on an automated filling machine…not filled and sealed by hand. 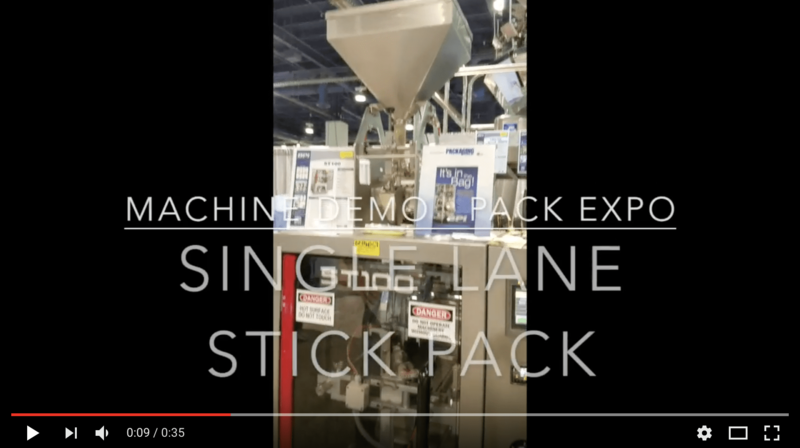 To fill your product, you’ll need a co-packer or a piece of equipment like what’s in the video below. 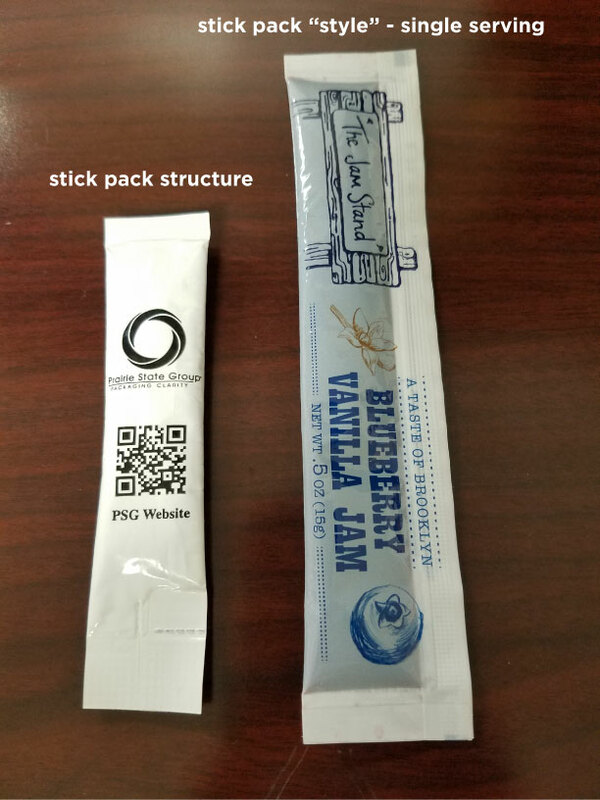 The item on the left is a true stick pack structure…the other is just a single serve package in the shape of a stick. to get the most accurate quote, clarify how many lanes (or impressions) you’ll need across the film web. Good luck on you stick pack packaging project!